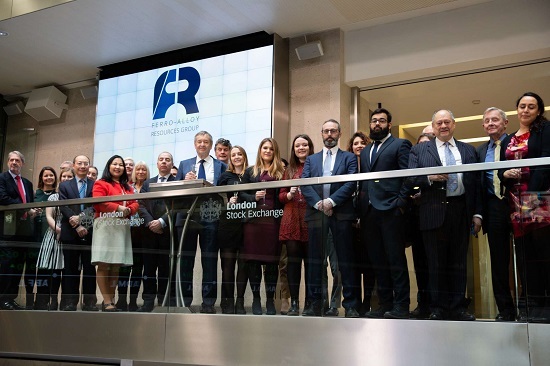 Ferro-Alloy Resources Group, a vanadium producer based in Kazakhstan, has become the first junior flotation on the London Stock Exchange (LSE) from the mining sector this year. The company, which is already listed in Kazakhstan, has raised £5.2 million and issued 7,507,761 new ordinary shares at a placing price of 70 pence each, giving Ferro-Alloy a market cap of £219.1 million. Chief executive Nicholas Bridgen told City A.M that the firm will gain access to investors with a good understanding of the exploration market. “Exchanges in Toronto and Australia have a lot of interest in very small cap exploration, and maybe their retail demand understands it better. But I still think London’s a better place for a significant company,” he said. Ferro-Alloy is already producing vanadium pentoxide from its Balasausqandiq project and will use the money raised from the flotation to increase output at the project, which has the potential to be one of the world’s largest and lowest cost producing mines, according to Bridgen. Vanadium is traditionally used as a steel strengthening agent but has seen its price rise 450% in three years on expectations it can also be used for large-scale power storage.